In one of the most highly-anticipated tours of the summer, Poison, along with Cheap Trick and Pop Evil will embark on a string of dates across the U.S. that’s appropriately called “Nothin’ But A Good Time 2018”. 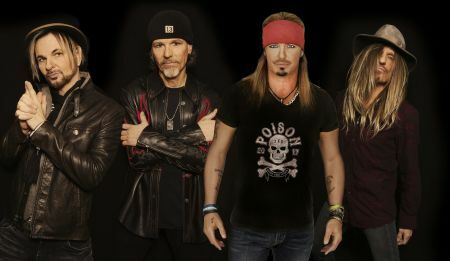 For Poison – which consists of all-original members Bret Michaels (lead vocals/guitar), Bobby Dall (bass), Rikki Rockett (drums) and CC Deville (guitars) the new tour promises to bring the hits, high energy as well as a few surprises. The band will also be celebrating the 30th anniversary of its sophomore release, Open Up and Say... Ahh. An album that featured not only the hit “Nothin’ But A Good Time” but also the #1 song, “Every Rose Has Its Thorn”.AXS recently spoke with Rikki Rockett about Poison’s new tour and more in this exclusive interview.